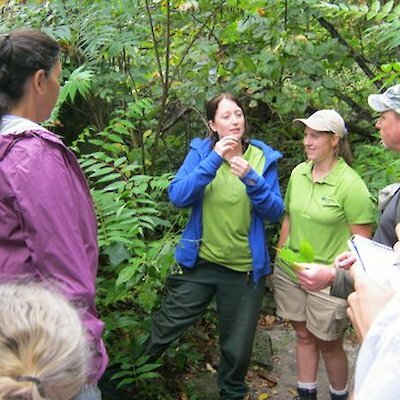 This past Saturday I and about eight others joined Niagara Parks naturalists, Portia Crosswell and Meaghan Stewart on their last guided walk of the season through the Niagara Glen. 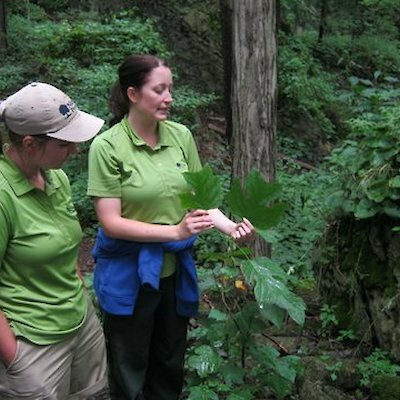 These two young ladies knew their stuff and we were all impressed with the knowledge they had about the flora, fauna and history of this nature reserve located only a few kilometres north of the falls, opposite the Niagara Parks Botanical gardens. 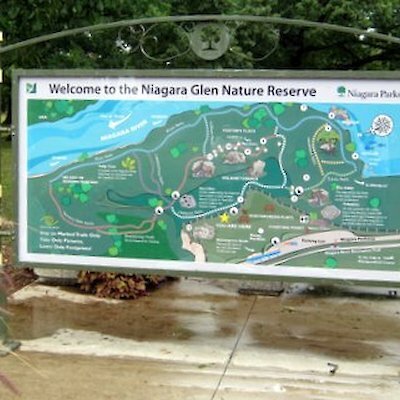 Although the guided tours are now finished for the 2014 season you can still take the walk to the very edge of the treacherous Niagara River. 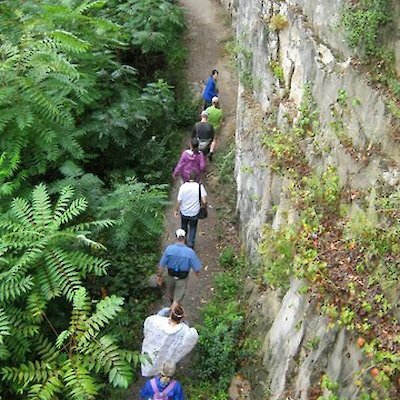 The walk will take you about an hour, wear sturdy boots and don’t forget your camera. It’s free. In the next few weeks the glen will be ablaze with the crimson colours of fall. Here’s a few photos I took on the walk, just to wet your appetite. Meaghan is wearing the blue sweater and Portia in the green shirt.